Why enrol on the Diploma in Personal Training course? Why Choose Our Personal Trainer Course? 1:1 tutor support. All our tutors are practising personal trainers, so you get real-world answers. Some organisations get in-house people to mark the assignment using simple tick-boxes. So you never discover the deep-down insiders' information. All inclusive package. There are no hidden fees. You don't need any extras (though we include an optional reading list). And delivery by courier is included in the price. Check that other organisations won't charge you extra for tutoring or other costs. 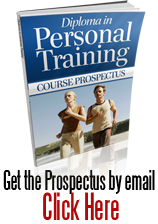 Includes detailed information on how to run a personal training business. Many organisations don't think about including this very important information.